A 19th century drawing of the original Log College, an influential Presbyterian institution in Colonial America. Image No. 1039. Colorized by PHS. In a presentation given as part of the Historic Polegreen Church Foundation Lecture Series, Dr. Jan Swearingen explored how Presbyterian theology and rhetoric informed the actions of Presbyterian leaders in Virginia and throughout Colonial America. We are pleased to share these excerpts from "Presbyterians in Virginia 1740-1770: Samuel Davies, Patrick Henry, and the Gospel of Liberty." A strong emphasis upon education made Presbyterians distinctive among the denominations outside New England in colonial America. In addition, Presbyterians were among the first to establish a structure for cross-colony government, a structure based in their history as covenanters as much as in their need to preserve doctrinal and social consistency in thinking, teaching, and practice. Procedures and policies for educating clergy and for examining congregants prior to certifying them to receive communion provided an additional reason for closely coordinated policies and doctrinal practices. 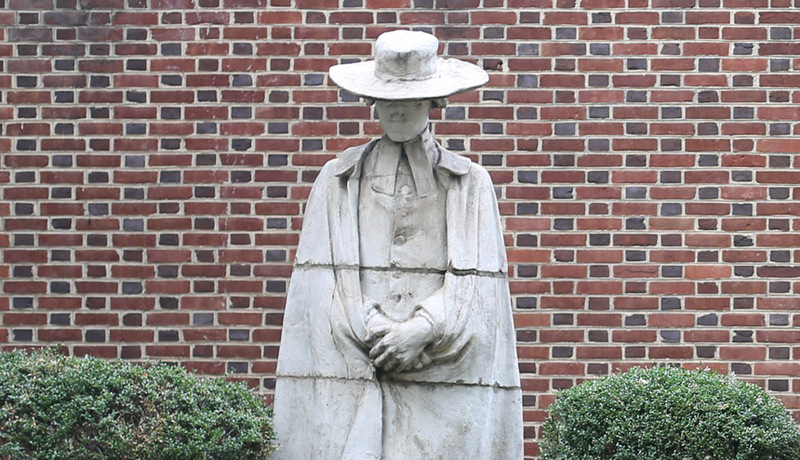 The New Light/Old Light split that divided the Presbyterian Church between 1742 and 1758 was eventually resolved by the desire to establish The College of New Jersey as a respected multi-denominational college, dispelling the stigma that had been attached to the "Log Colleges ." Samuel Davies is one of the subjects of the six Alexander Stirling Calder statues at PHS . Influenced at first by his mother's and sisters' conversion by Davies, and then by an admiration of Davies' preaching, and eloquence as a teacher, Patrick Henry  began a lifetime of sympathy and support for dissenting religious traditions, beliefs, and practices. Family legend has it that Sarah Henry drove Patrick and his sisters to hear Davies preach at the Polegreen church  near Hanover almost every Sunday. On the way home she would ask Patrick to recite back the sermon he had heard. In the course of eleven years, Patrick acquired a rhetorical education in the oldest school of all: recitation and repetition of model speeches. It was not just the form of the speeches that Henry absorbed from listening to Davies. He also acquired a political and religious vocabulary far wider than any he could have acquired from the formal schooling he received in Greek and Latin from his uncle and father. Davies' sermons were spoken in the vernacular and adapted for his listeners. He utilized a wide range of biblical, classical, and contemporary literary and historical quotations, not to display his learning, but to drive home the universality of the theological and moral truths he was teaching. His second wife, Jane Holt, was the daughter of a Williamsburg mayor and printer, and provided Davies with direct access to the Virginia Gazette, which he used as a platform for defending his own and other dissenting clergy's rights to preach. 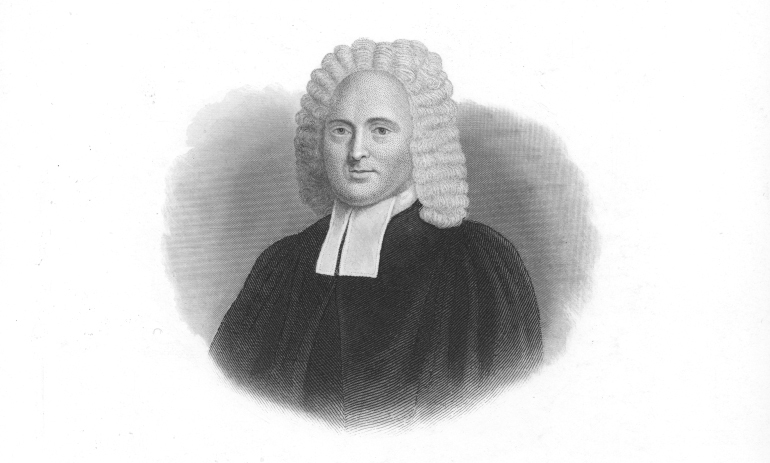 At the time of his death, in 1761, Davies' sermons were well known and influential as models for other clergy; by the time of the Revolution, they were among the most widely circulating collections of sermons in the colonies, particularly in the Middle Colonies, Virginia, and North Carolina. Portrait of Patrick Henry, by George Bagby Matthews, circa 1891. Via U.S. Senate .